I’ve been meaning to post these pics for weeks, but forgot about the recipe – and the delicious end product – while I was away in Ireland. I read somewhere online (apologies to that original blogger as I can’t find where that was!) 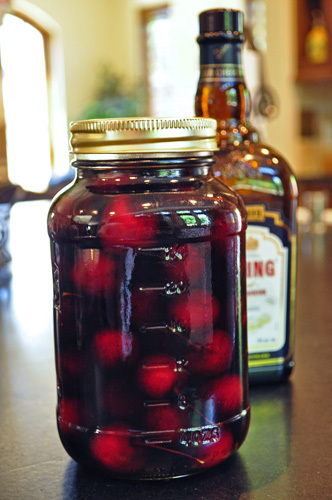 that making homemade maraschino cherries was as simple as submerging fresh cherries into maraschino cherry liquor and letting them get happy together. 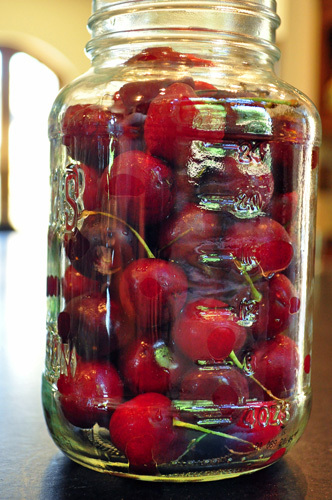 Fill a clean and sterilized quart jar with washed cherries. Don’t they look expectant? 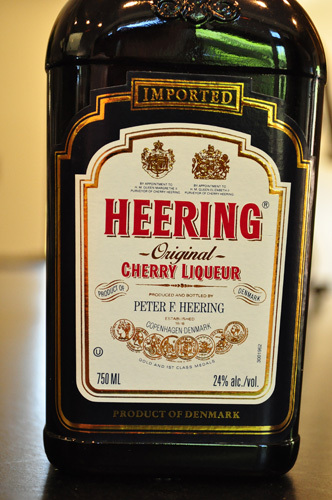 Then pour cherry liqueur over the top, submerging the cherries. Cover and refrigerate for at least 2 weeks, then voila! 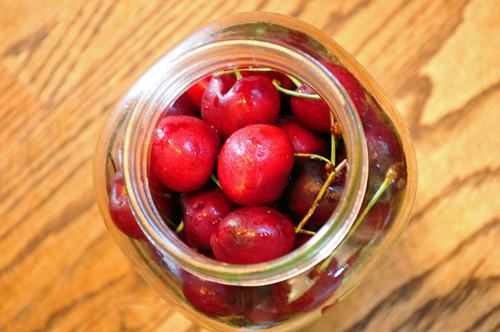 These little boozy treats are the perfect single bite – not at all sickly sweet like the cherries you recall from your Shirley Temple (or Cherry Simple as my daughter called them) days, but rather a sophisticated garnish for a cocktail or ice cream. 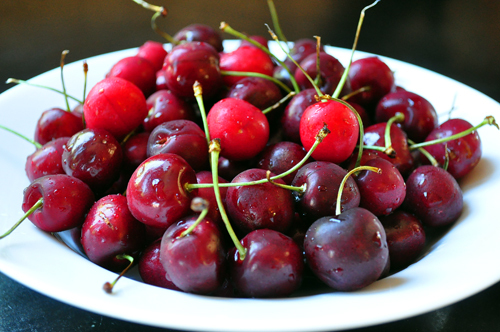 Whip up a batch while cherries are still around! Strawberry Rhubarb Sauce – Spring is Here! These sound soooo good, and they look so pretty in the jar. Thanks for sharing this easy recipe!